Do you remember the first computer your family ever had? Was it a huge box, heavier than you could imagine, that took up a whole desk? Did it come with a floppy disk drive and a giant printer that took forever to spit out a page? Think about that computer and compare it to what you have now. Most people have a virtual computer in their pockets by way of smartphone. Computers have flat screens and nothing extra included and printers are lightning fast. Technology has come a long way in recent years. The Richardson, TX replacement window industry has come just as far. If you have older windows on your home, they’re like the old, clunky computer. They aren’t efficient and they’re way outdated. 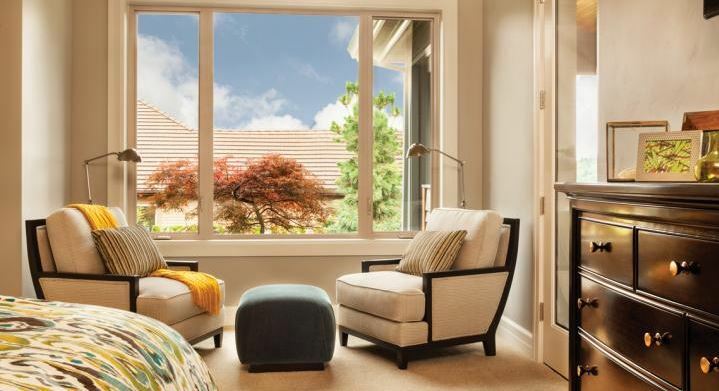 When you get new windows, you’ll increase your home’s energy efficiency by leaps and bounds. Here are a few things that impact your home’s efficiency after new windows are installed. Often, older windows had just one pane of glass. Today, windows have double pane glass as a standard, but you can upgrade the glass to triple pane for even further efficiency. The glass itself helps reduce airflow from inside and outside of your home, but the space between the glass does even more. That space between glass is filled with air, regularly, but technology has shown that inert gases are denser than air and can increase efficiency even further. It costs a bit more to have argon gas put between the panes instead of air and even more for krypton gas, but they can lower your home’s energy bills even more than you originally thought. The Glass on your replacement windows can also be coated with certain things to increase efficiency. Low-E coatings are the most popular. This coating does quite a bit. First, it reflects heat with its thin metallic coating. That means when it’s hot outside, the windows reflect the heat back out. When it’s cold outside, they will reflect the heat back into your home. Both versions are effective and efficient. The windows also block UV rays, which is the damaging part of the sun’s rays. Your furniture and other items won’t fade any longer and you’ll have a longer lifespan on a variety of things inside your home. Plus, the sun’s heat won’t come through, but it’s light will. These are just a few of the ways new windows will take your home’s energy efficiency to new levels. If you want to hear more details about Richardson, TX replacement windows, contact the experts at Southwest Door & Window. We’re located at 10990 Petal St #700 Dallas TX 75238 and we’re happy to give you a tour of our showroom and point out energy efficient details. You can also call us with your questions at (214) 341-2212 and we can get you set up with a free consultation appointment with no obligations involved. We’re here to help your home reach its finest hour. This entry was posted in Replacement Windows by admin. Bookmark the permalink.